CAPS is a complete Food Service Equipment Repair Company repairing Hot side Equipment, Refrigeration,Ice, HVAC , Warewashing . Our portfolio also includes Installations and Planned Maintenance. CAPS also provides replacement parts for facilities or other servicer’s. Available 24/7. 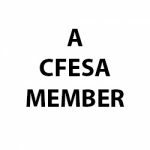 We provide CFESA and Mfg Certified Technicians. 90 day guarantee! CAPS is a complete Food Service Repair Company including Hot side equipment, Refrigeration, Warewashing and HVAC. Our portfolio also includes Installations and Planned Maintenance. CAPS also sells replacement parts for facilities and other servicer’s. Our technicians are CFESA and MFG Certified. Available 24/7.90 day service warranty. CAPS is a full service repair company for the food service industry. We provide repair,warranty, installation and planned maintenance on hot side equipment, refrigeration, ice, warewashing and HVAC. We also sell Replacement Parts for facilities and other servicers. CAPS is available 24/7 with CFESA and MFG trained technicians. 90 Day Warranty. CAPS is a full service company in the Food Service Equipment industry. WE provide Certified Technicans 24/7. CAPS portfolio includes, repair, warranty, planned maintenance and installations. We service all refrigeration, Ice, Hot side Equipment, Warewashing, HVAC. We also sell replacement parts for facilites and other service companies.